LAS VEGAS, at CES Digital Experience, Jan. 8, 2018 – AeroVironment, Inc. (NASDAQ:AVAV), a leader in electric vehicle (EV) charging and the preferred home charging solution supplier for nine global automakers, today introduced TurboDX™, the company’s next-generation EV charging station for commercial, workplace, utility and residential customers around the world. TurboDX is a durable, reliable, fast and safe solution that delivers unparalleled flexibility to accommodate a wide range of users’ needs. The TurboDX global EV charging station solution has been certified by Underwriters Laboratory to North American UL Standards for safety and reliability. European variants are certified to IEC standards and bear the CE Mark, and the Chinese configurations have met the rigorous, CQC certification. An OEM-branded version of the TurboDX has commenced manufacturing in China and will ship to customers starting in January. TurboDX, which builds on the trusted, tested and robust technology of AeroVironment’s popular TurboCord™ charging system, is an open networked solution that gives customers the flexibility to choose from a variety of Open Charge Point Protocol (OCPP) compliant network providers based on their needs and demands. It further enables customers to change their network provider easily, without the added cost of switching or purchasing new hardware. In addition, TurboDX accommodates a triple, dual or quad installation that allows more cars to charge simultaneously. TurboDX’s modular design also makes it easy to expand the number of chargers as needed over time. 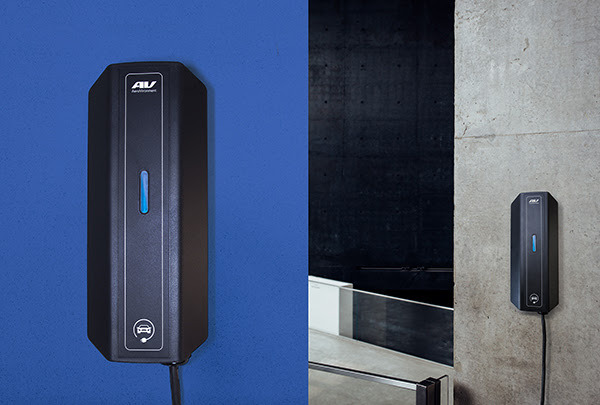 TurboDX offers the same Bluetooth-enabled access control currently available on AeroVironment’s TurboDock™, allowing a site owner to control access to charging stations through a non-networked, mobile access control option. Importantly, TurboDX is reliable, safe and robust. With its durable cast aluminum enclosure and significant thermal margins, it is designed to work under even the harshest conditions – all while providing a safe and reliable charge that gives customers the confidence to proceed with certainty. Its proprietary thermal management algorithm allows a connected vehicle to charge during high ambient temperature conditions while continuously monitoring the charging session to ensure safe operation. TurboDX launched in both 16- and 32-amp versions (240-volts) with the option for 15-foot or 25-foot cords. Its slim, compact design gives EV drivers the added convenience of mounting TurboDX practically anywhere. TurboDX has already started shipping for OEM, commercial, workplace and utility customers. It will be available for purchase online from Amazon, evsolutions.com and homedepot.com beginning in the first calendar quarter at a manufacturers’ suggested retail price (MSRP) of $469 for 16-amps. AeroVironment is the official electric vehicle charging solution partner of nine of the top global automakers. The company has been supporting and developing EV technology and innovation for more than 25 years. To learn more about AeroVironment’s full line of electric vehicle charging solutions, visit www.evsolutions.com.